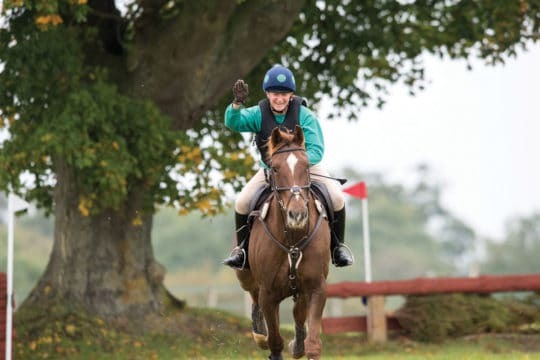 It’s one of the main aims of every schooling session – to get your horse working comfortably and correctly – but to really get him going well, you’ll need to have the basics firmly locked down. 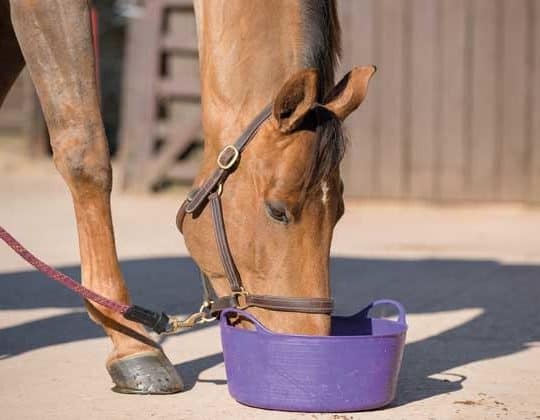 One of these basics is establishing engagement, but in order for your horse to bring his hocks underneath his body and work in this way, he must first be relaxed and supple over his topline. If you find he’s not working through correctly, it may be that there’s a disruption somewhere along the way. 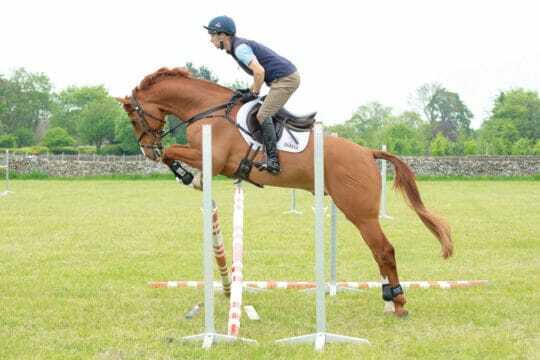 While this is common in many types of horses, it’s seen a lot in ex-racehorses coming out of training as well as young or inexperienced horses. 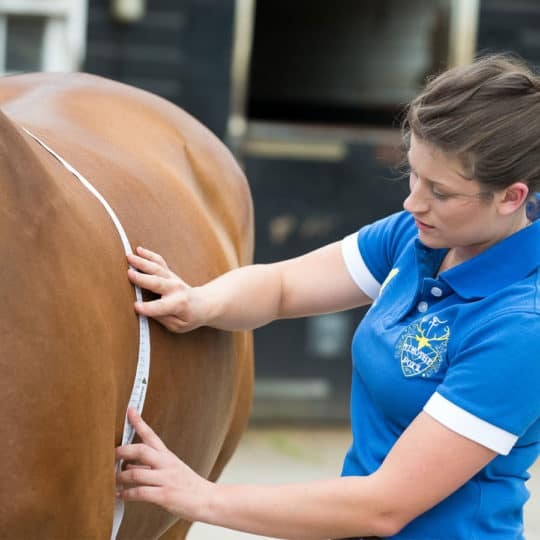 It’s so important that you establish some exercises to help him to strengthen up his lumbar muscles, which support his topline and improve suppleness. 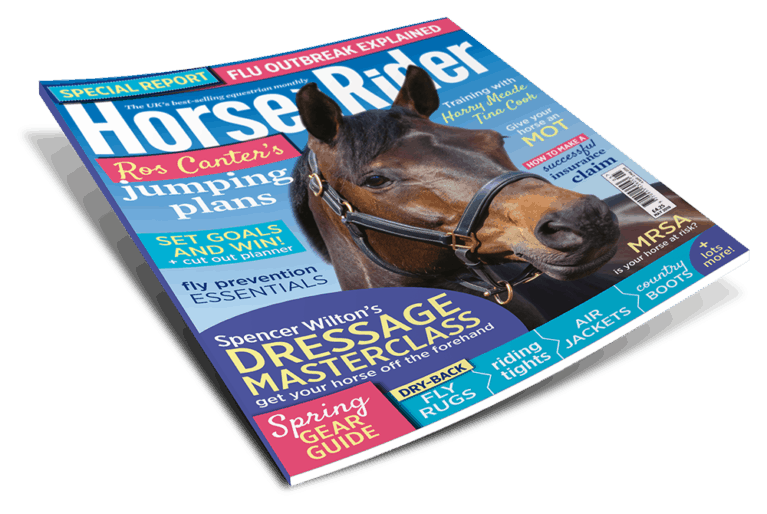 Here are some straightforward exercises to get your horse moving better than ever. 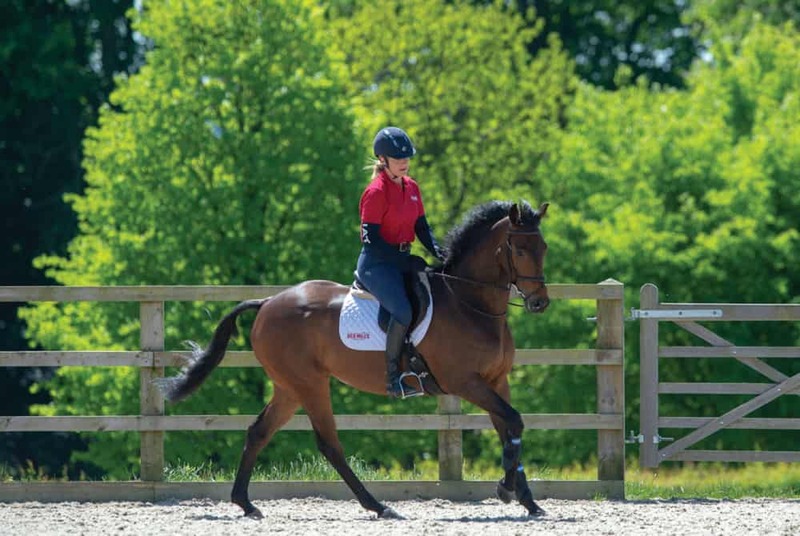 Your warm-up is the perfect time to establish whether your horse is listening to your aids – either for flatwork or jumping, it’s important that, even at the start of your ride, he’s tuned in to you. This is especially important if you have a spooky or inattentive horse, as he needs to understand that when you put your leg on, it means he needs to pay attention to you and go forwards. 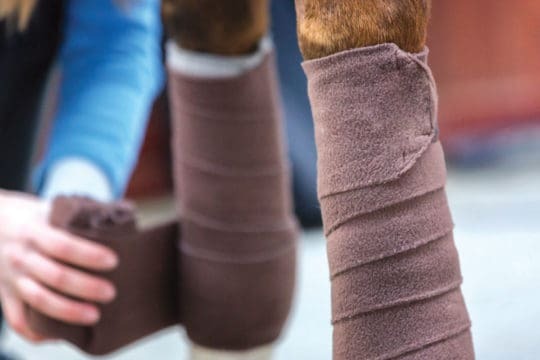 Keep your calves in contact with your horse’s sides. If you put your leg on and he goes forward, reward him – this helps him to understand what’s right. If you give him a squeeze and nothing happens, give him progressively stronger leg aids until he does react, then give him a pat so that he knows he’s offered what you’re asking. Once your horse is working evenly on both reins, think about introducing some lateral work to develop the suppleness to bend through his neck. Start by simply asking for flexion going down the long side of your arena, so he’s got the security of the wall to keep him straight. 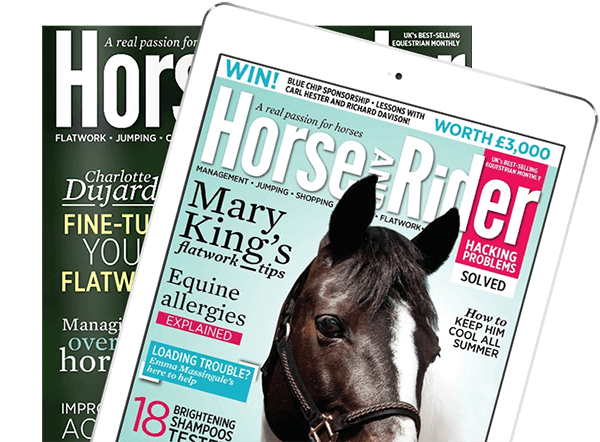 By applying light pressure with your inside rein, ask your horse for some neck flexion for five or six strides, before riding him straight for the same number of strides, then asking for flexion again. You could even ask for a few strides of counter-bend. Your leg aids ask your horse to keep his body straight, while at the same time your rein asks for some flexion. 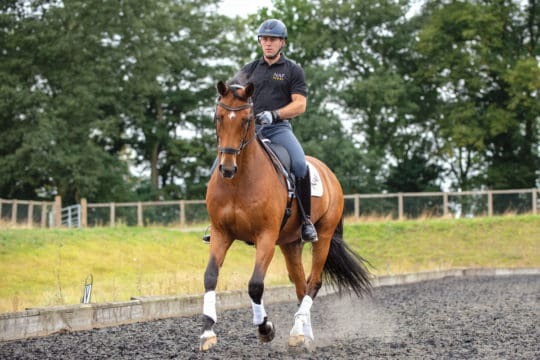 This will help you build up to leg-yielding – and one day to more technical lateral movements such as shoulder-in and half-pass – but at the moment you’re instilling the basics so your horse is in front of your leg, you can put your leg on and you can place his neck where you want it. When your horse understands what it is you’re asking for in walk, progress to trot, and then canter. 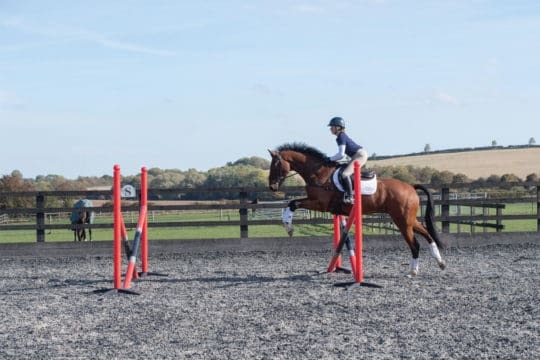 For more great advice on improving your connection from top eventer Tina Cook and some pole exercises for you to try at home, pick up a copy of Spring Horse&Rider, on sale 7 February.